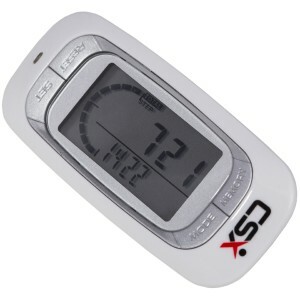 Home / Pedometers / The Best Pedometers Of 2019 – Reviews Of 3D Tri Sport, CSX, And More! Many people in our walking club use step counter pedometers to track the distance they’ve covered, the time taken, and the number of steps taken. 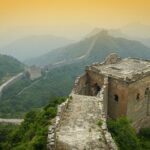 They found this a great way to motivate themselves, and achieve their goals. 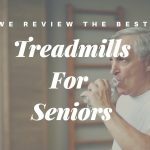 We agree with them, and if you want to take your walking seriously, then it is worth the investment. 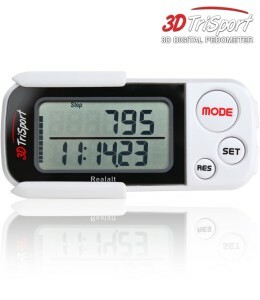 The main purpose of these pedometers is to help motivate you to get fitter and healthier by measuring your success. I guess the bottom line is, that if you track your progress, you are going to be able to see the improvement. When you see that improvement, then it keeps you going. It all makes sense really, and as these are relatively inexpensive, it is certainly worth considering. We think a step count pedometer is just a good product to own, irrespective of your reasons for starting to walk. It is good to know what distance you have covered, how long it took you to do that, and then track your improvements. Pedometers come packed with a whole range of features. In our opinion, quite often they come with too many, and to be honest, many of them are just never used. We think it is a better idea to get a good quality product, one with the important features, and one that is simple to use. You should not have to be a computer technician to be able to set one of these up and get started. 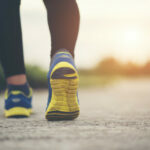 Where Can You Buy a Pedometer? You will find these in most good sport’s stores, and many of the larger retail outlets will also stock these. You should expect to pay $20-40 for a basic model, depending on what features you want to have. You can also buy them online at Amazon, and other online stores. We would recommend that you avoid buying a used one as you just don’t know if it has been damaged or not. At the higher end, these can get expensive, but that said, they are more accurate and have additional features such as “Apps” that can be downloaded, and will automatically track your progress on a laptop or a computer. Before we dig into the different types available, we would like to give you a quick overview. 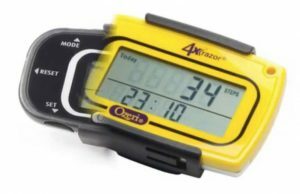 The video below shows you how to use a pedometer, and is very helpful, if you have not owned one before. Where Should You Wear It? You will find them to be most accurate if you wear them on your hip. 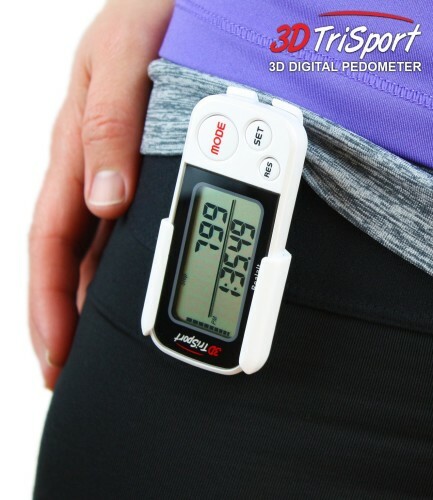 Ideally a pedometer that can clip on to your belt loop, or attach to the waistband is the best choice. 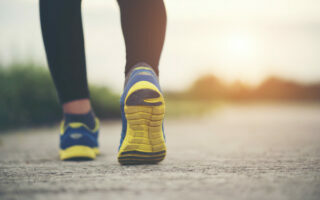 You will find that runners tend to use ones that are on the wrist, as that tracks the movement of the arms when running. For walkers like us though, the best pedometers for walking should be those that attach to the hip/waist area. So if you are shopping for one, make sure that it has some method of clip or attachment, that can easily be connected to a belt loop, or waistband. You will want that clip to be good quality, as you do not want it to fall off when out and about. 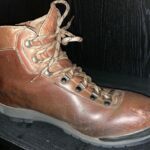 And so, in no particular order here they are – the best walking pedometers you can get your hands on! This is our number one choice for a few reasons. It is a great price at under $23, attracts great ratings by buyers and will do just about anything you need it to do. It uses a tri-axis technology so it is very accurate. That means you can wear it on your hip, keep it in your pocket, or even in a bag. It comes with a strong clip, and a secure strap so as you will not lose it. This one measures and counts your daily steps, the distance that you have travelled and the calories used. It has a 7 day memory, and you can also set up targets on it if you wish. It is also small and light in weight, so easy to carry around, and is suitable for all levels of fitness. There is also a full video demonstration, so as you can set it up exactly as you want it to be. The numbers really are crystal clear, and that makes them easy to read. When you clip this one on, you can be certain there is no danger of it falling off. This is a highly competitive market, and we think this one has a great price, more than enough features, and is simple to set up and use. This one came a close second. It is slightly cheaper than the one above, and will do an excellent job as well. 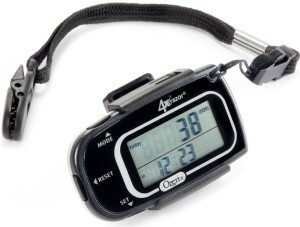 If you are willing to buy a pedometer costing less than $20, then this would be an ideal choice. This one is made in Germany, and is made to a very high standard. Like the one above it uses 3D technology for high accuracy. It remains the world’s lightest and thinnest pedometer, and is used by many high performance athletes all across the world. It records steps, distance covered, calories burned, fat burning and times. It comes with a 7-day memory, and also has a clock and a built-in timer. This one also comes with a belt clip, and the overall reviews are very positive indeed. This one gets very good reviews as well, is fairly recent to the market and like the others mentioned already, uses the 3D technology. It also comes with a FREE eBook called “Walking for Life.” We have not read this one yet, so we cannot comment on what that is like. It records daily steps and measures distances in either miles or kilometres, and will store all of that information for up to 30 days. It also has functions for calories burned, fat burned and exercise time. As you can see the display is clear and very easy to read. This one is also very easy to use. Many pedometers are just to difficult to use. They pack them with features, and in all honesty, I think that just ends up confusing many people. I want accuracy most of all, and I want it to be simple to use. So these are our top three pedometers! We recommend them for all walkers. 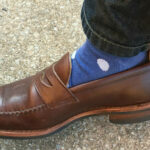 Now, do up those laces, clip on your pedometer, and get walking! We believe that for anyone wanting a step counter pedometer, the ones we have highlighted above will do an excellent job for you, and they won’t break the bank either. They are without any doubt one of the best motivational products on the market right now.